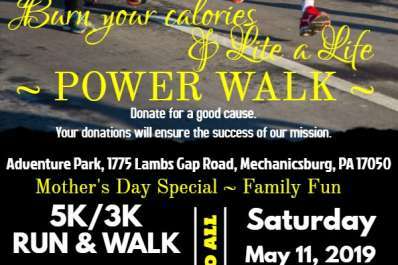 The POWER WALK is back! 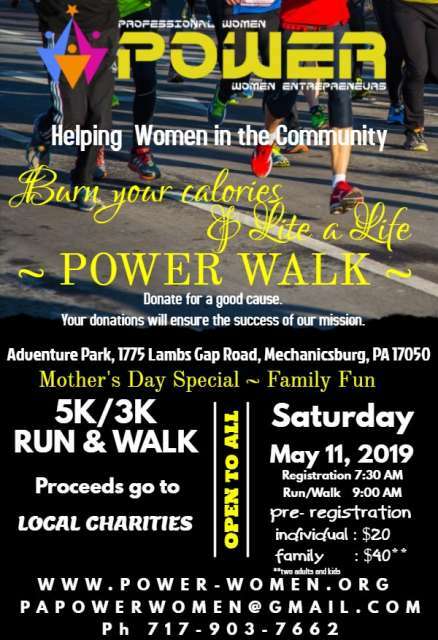 Join us for the 2019 POWER Walk/Run on Saturday, May 11 at Adventure Park. Last year, POWER raised and donated a total of $1700 to Safe Harbor and Vision Resources of Central PA in cash and goods. Help us make a difference in the lives of the under-privileged again. Burn Calories and Lite a Life.